24 inch outdoor rated refrigerated drawers. Forced air cooling for rapid cooldown and even temperature distribution. 33ºF to 39ºF digital temperature control. Pioneers in the art and science of outdoor living, Kalamazoo creates rare outdoor kitchens one family at a time. Our outdoor kitchen collection creates spaces that are truly remarkable — yet truly yours. Discover the fire within. Kalamazoo builds outdoor kitchen equipment. Exclusively. Hybrid Fire Grills — the only gas grills that also let you burn wood and charcoal. Artisan pizza ovens that cook a thin-crust pie in three minutes. 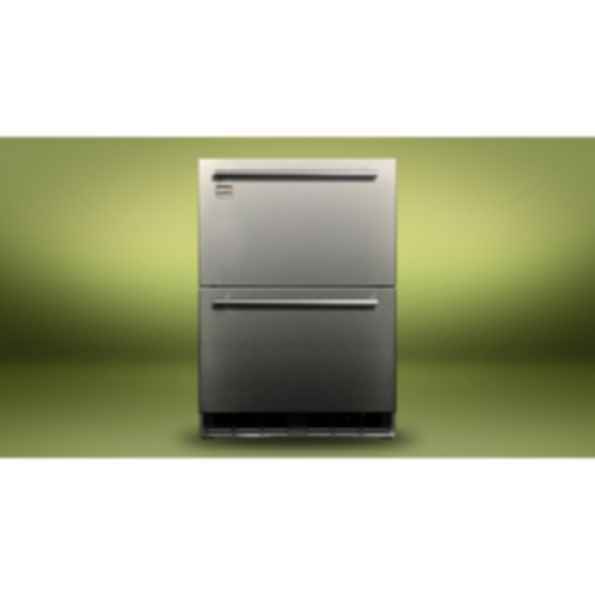 More than 25 different outdoor refrigeration units engineered to conquer desert heat. And, to complete the outdoor kitchen of your dreams, a collection of weather-tight outdoor cabinetry and the world's first outdoor dishwasher.